Outside of teaching, one of my passions is cooking. Once upon a time, I even had a food blog, but then discovered quickly that I was more passionate about my teaching blog, and elected to not renew the domain at the beginning of the year. Even though I love to cook, during the school it can easily become a chore and not something I enjoy doing, especially since I teach right up to 4:00 pm. However, I do try to make it a priority to try and cook five dinners a week. While, I don't claim to have it all together when it comes to making dinner every night, or that I always say "no" when the thought "take out" comes to my mind after a long day at work, I do have some tips and tricks to share that I hope helps make dinner time less stressful for you this year. By far the most successful thing I've done in getting a dinner made by me on the table most nights, is making a weekly menu. If you don't already meal plan, I highly recommend it. It saves money and time at the grocery store, as you are only buying what you need. Plus it takes all the guessing out of nightly, "what's for dinner?" question. I use this template from Elementary Organization. 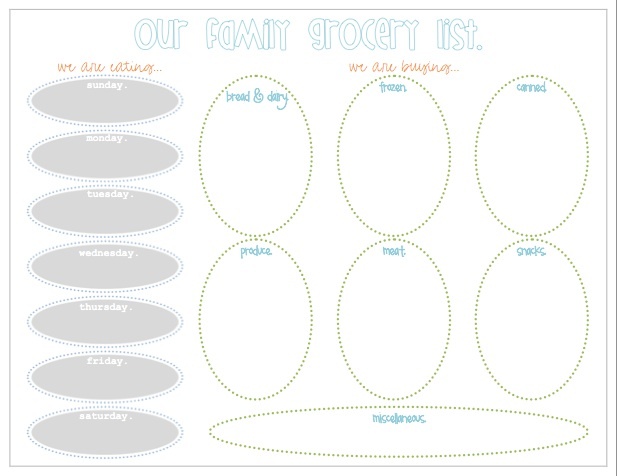 It's perfect because it only has me planning dinners out for the week, and breaks down down my shopping list by the section of the store the item is located in. When menu planning, I peek at our schedule for the upcoming week. I usually only plan for five nights of dinners a week. My husband has class every Thursday night, and I usually stay late at work that night and either pick up my beloved Chipotle on the way home, or make due with something in the pantry. My husband also works in restaurant management, and there are some nights he isn't home for dinner. On those nights, I often meet a friend for dinner or eat leftovers. Taking a couple minutes before going to the grocery store and checking your Pinterest recipe boards, your favorite cookbook, and your pantry and come up with a plan for your meals for the upcoming week. I promise this time is well worth it! 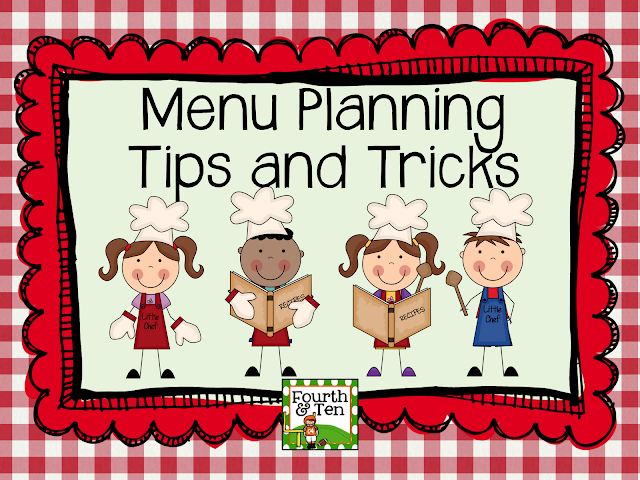 Keep your menu simple! You don't have to cook elaborate meals to keep your family, or yourself, happy and satisfied. I do love to cook, but usually only try more involved recipes on the weekend, so I'm always on the lookout for quick, easy, but still healthish meals. On crazy nights, I'm known to grill kielbasa sausage, microwave some brown rice, and steam or roast a vegetable. It takes minutes to prepare, but tastes great. A crockpot can be your friend, but be careful. If your crockpot isn't about 3/4 of the way full, it will cook faster and can be burnt/ruined before you get home. I have a great one with a timer, but it's huge. I usually put our meal in a glass Pyrex bowl with a silicone trivet on top to fix this problem. Lastly, don't be afraid to ask for help! My husband will often prep and put a meal in the crockpot for us on the days he's off and working on school work. He won't hesitate to chop vegetables or set the table, but often doesn't know I need help unless I ask. Dinner comes together in a snap, if you have some helpers. :) Plus it's a great time to get caught up on each others days. Great timing. I've made a commitment to change our eating and do more healthy cooking, but I don't enjoy it at all (mostly because I don't have time and have a small kitchen). 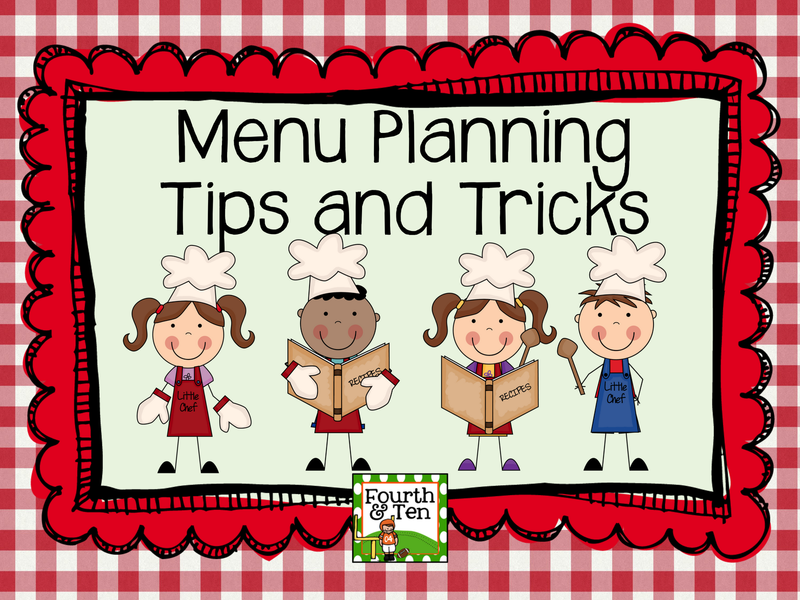 These are some good ideas to help me keep me going with cooking once school starts! Thank you so much for sharing these tips! I am a disaster in the kitchen and need every bit of help I can get! Loving you blog! Thank you for these tips and the recipe suggestions! Thank you for sharing! Nice to hear the post.